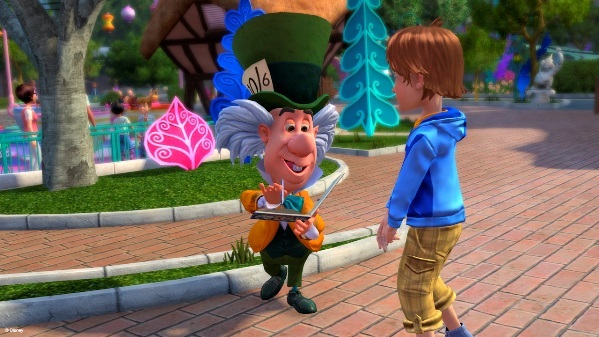 Disneyland Adventures is being released November 15 for the Xbox 360 with Kinect. This isn’t typically something we would cover here on the DIS Unplugged, but after testing out this game at the D23 Expo in August, I knew I had to play this game again…and definitely had to tell you all about it. In the past, Disney hasn’t had a great track record on the video game front, but I think this may be an exception. There are so many layers to this game, I’m not going to be able to tell you everything…but I’ll give it a shot. Let’s get the bad news out of the way first. 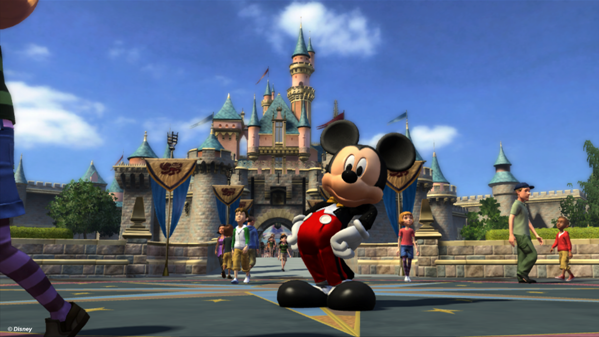 Just as Epic Mickey was created and published only for the Wii, Disneyland Adventures is only being released for Xbox 360 (and requires the Kinect sensor). That said, after playing this game for a few days, I’d have to say that the controller-less nature of Kinect is perfect for this game. As I said, there are several different layers to this game. 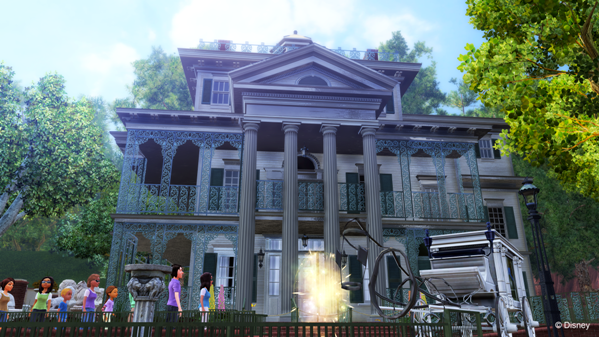 First, you can just walk around a digital recreation of Disneyland, meeting characters and looking for hidden Mickeys. 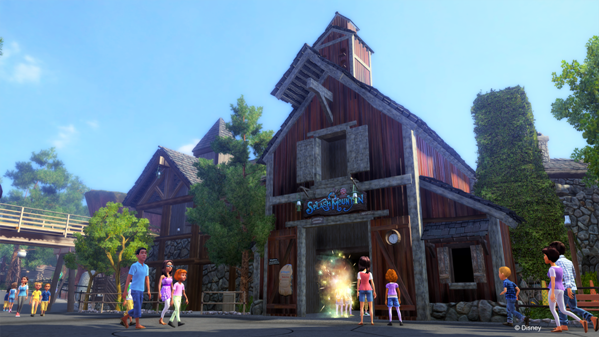 Second, you can participate in adventures that involve collecting things around the Park. Finally, you can play games based on classic Disneyland attractions. As with most recent video games, an instruction manual isn’t necessary, since the game starts out by walking you through the basics. 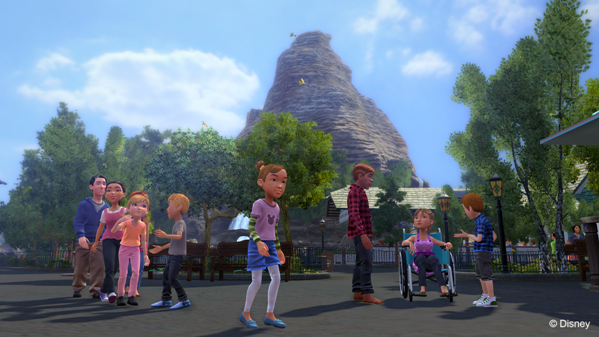 Start by creating your own boy or girl…pick hair and clothes to match your mood…then learn how to wander the park, greeting the characters and getting autographs and hugs. That’s right…I said hugs. After you greet a character (either by waving or saying “hi there”), there are several different actions you can perform with the character. Pretend to give a hug and that’s what you get. You can also high-five the characters or bow to them (to ask for a dance). The fun thing is that there are at least 35 different characters and they all react differently and best of all…appropriately. Try to high-five a princess and you might end up playing patty cake. Try to hug Peter Pan and you’ll be greeted with a firm handshake. My favorite so far was when I tried to hug Buzz Lightyear. I’ll let you find out Buzz’s reaction on your own. In addition to those character interactions, you can also ask for a character’s autograph or take a picture with them. Make sure you pose! While you’re mastering the art of character interaction, the characters will begin giving you small assignments, such as collecting Goofy’s autograph or taking Donald’s picture. Eventually you’ll move up to collecting dinglehoppers for Ariel or books for Belle. Don’t worry about getting lost though, as a trail of pixie dust will always lead you in the correct direction. The real fun begins when Donald loses his hat on the icy slops of the Matterhorn and asks you to retrieve it for him. There are a few attractions you can actually “ride” (Dumbo or the AstroOrbitor), but most of them feature games based on the attraction itself. 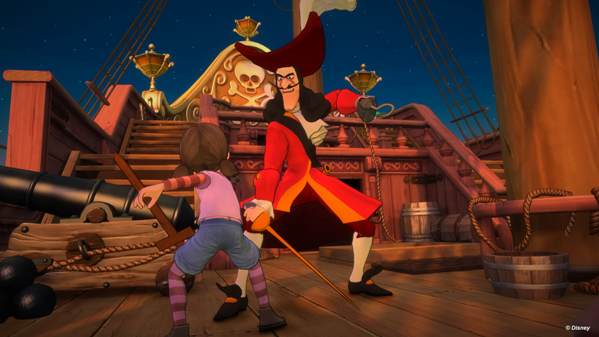 Fly through NeverLand or fight Captain Hook…..
…or even dance with a princess. One of the great things about Disneyland Adventures is that, while some of the attractions are related to the adventures the characters send you on (such as finding Donald’s hat on the Matterhorn), you can also play these games any time you want and in any order. Actually the same thing applies to the adventures as well. Don’t feel like looking for Alice’s ribbon? Then go see if Tiana needs help making gumbo – it’s up to you! Along the way, you’ll receive special items to use during your adventure. The first, of course, will be a camera, but soon you’ll hear other guests start chatting about a magic wand. Finding that magic wand will lead to even more fun. See if you can make all of the trash cans in Frontierland dance or all of the umbrellas in Tomorrowland spin. As you can tell from these pictures, the attention to detail in this game is phenomenal, from the paving stones to the soundtrack. The only thing missing are some sponsor names (Dole, Coke, etc). There are some other curious omissions though. Captain EO is visible in the Park, but Star Tours and Indiana Jones are missing. The buildings are there, but the signage is not. There are also some curious inclusions. I know that Disney’s contract with the Milne family is complicated, so it surprised me that you can meet Pooh, Piglet and Eeyore, plus play a game based on The Many Adventures of Winnie the Pooh. The other thing I found curious was that, not only can you meet Br’er Bear and Br’er Fox in the Park, you can play a game based on Splash Mountain/Song of the South. The Kinect technology is a double-edge sword. 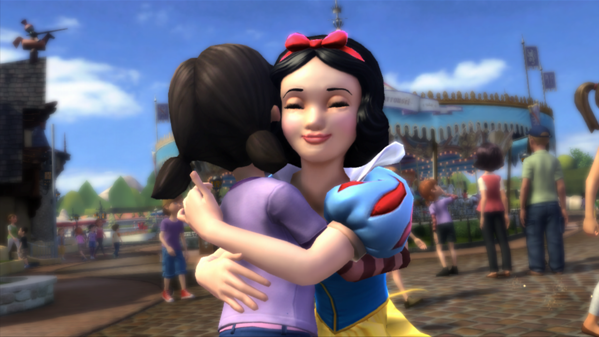 Moving around the Park can be challenging at times and I’ve been stuck in a few corners, but being able to high-five Mickey or give Ariel a hug makes Kinect the right platform for this game. As a Disneyland fan, I love this game on all levels, but I as I said in the beginning there are so many layers to this game that everyone, especially Disney lovers, are going to find something fun here. 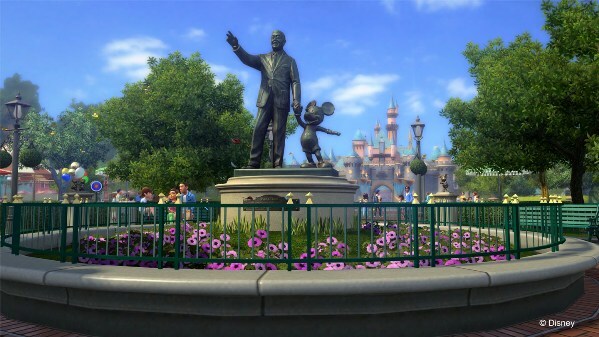 If you already own Xbox with Kinect and you’re a Disney fan, Disneyland Adventures would be a great addition to your video game library. If you don’t own Xbox…..hmmm….Christmas is coming. 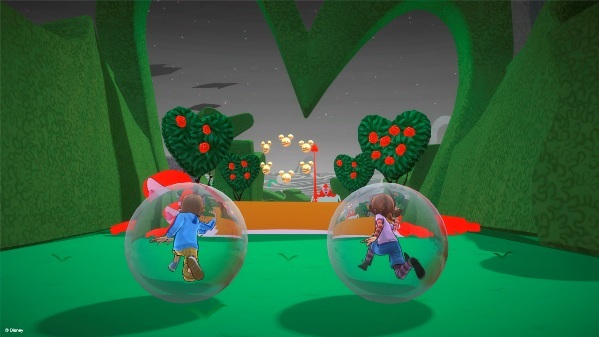 DISCLOSURE: I was provided an advance copy of Kinect: Disneyland Adventures in order to write this review, but the views are my own.